The provision of universal oral health care is a major goal in public health systems in order to increase access to appropriate and timely oral health care for all. 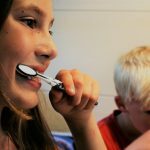 In all cases, the quality and safety of oral healthcare must be assured regardless of various global healthcare settings to achieve the basic principle of health care: do no harm. The U.S. National Academies of Sciences, Engineering, and Medicine defined six components of quality healthcare in it’s the “Crossing the Quality Chasm” report: safe, effective, patient-centered, timely, efficient and equitable. (1) Since the report was issued, there has been a rapid introduction of innovative models for configurations of the healthcare workforce and delivery vehicles to assure the quality and safety of healthcare systems. The oral health profession has been a leader in implementing quality initiatives; for example, they were the leaders ahead of other health professions in incorporating hepatitis B virus (HBV) vaccinations for personnel members a few decades ago. (2) However, safe dentistry needs to be assured in various global oral health care settings that may have different levels of education and resources. Breakdowns of infection prevention and control can occur when proper sterilization and monitoring fail or unsafe injection practices occur. In 2003, and again in 2016, the Centers for Disease Control & Prevention released recommendation guidelines for infection control practices in dental offices nationally and globally to provide direction for the public, dental health care personnel and policymakers. (3, 4)Although these knowledge resources are available free online with a mobile apps and other communication tools, health professionals may not know about them or cannot comply with the recommendations when practical resources are not affordable or available. 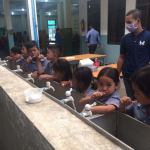 A major review of the available literature on infection control and prevention in oral health-care facilities revealed that the resources and training opportunities for infection control and prevention for oral health are more limited in developing countries. (5) The current infection control and prevention practice in different countries range from dry heat and autoclave sterilization with biomarkers to boiling water sterilization without individual pouch and multiple re-use of disinfectant. Cross-contamination with digital technology and inadequate hand washing was another major concern. Dental extraction is a common treatment and can be the only definite care option when other treatment options are not available. The basic need for safe extraction includes disposable needles, lidocaine carpules, gauze, sterilized syringes and forceps, safe needle recapping devices, disinfectant wipes, autoclave machine and sleeves, clean water, and a labor fee for healthcare workers. The cost of the disposable items is many countries is about US $1. (6) If we assume that all other dental costs, including the professional fee, is a dollar, more than 10% of world population must pay their daily earnings for tooth extraction. In a survey conducted in Tanzania, the expense for extractions and single surface, one-tooth fillings were compared with daily resources for adult required for basic consumption (DRC). (7) Extractions were found to cost patients an average of four-times their DRC and restorations were on average 9–10 times the DRC. (7) When the cost of standard dental services is unaffordable in low-income countries, it is sensible decision that the cost of infection control and prevention in dental care settings should be subsidized by local and national government to assure safe dentistry. Implementation of safe dentistry practice that is available and affordable. Implementation of a tax exemption for dental supplies and equipment for infection control and prevention. Partnerships between local and national governments and international organizations and corporations to provide practical resources to healthcare facilities that provide dental services. Coordinated efforts to achieve infection control in dental settings, especially those in remote and marginalized communities. The WFPHA have received a core grant from Colgate Palmolive to support its activities. Medicine Io. Crossing the Quality Chasm: A New Health System for the 21st Century. Washington (DC): National Academy Press; 2001. Molinari JA, Harte JA. Cottone’s Practical Infection Control in Dentistry. 3rd ed. Baltimore (Philadelphia): Lippincott William & Wilkins; 2010. Prevention CfDCa. Guidelines for Infection Control in Dental Health-Care Settings. MMWR Recomm Rep. 2003;52(RR-17):1-61. Prevention CfDCa. Summary of Infection Prevention Practices in Dental Settings: Basic Expectations for Safe Care. Atlanta (Georgia): 2016. Oosthuysen J, Potgieter E, Fossey A. Compliance with infection prevention and control in oral health-care facilities: a global perspective. Int Dent J. 2014;64(6):297-311. Dental HS. Merchandise Catalog for Dental Supplies. 2016. Nyamuryekung’e KK, Lahti SM, Tuominen RJ. The relative patient costs and availability of dental services, materials and equipment in public oral care facilities in Tanzania. BMC Oral Health. 2015;15:74. Moore M, McKee M, Borisch B, Ricciardi W. The Global Charter for the Public’s Health. European journal of public health. 2016;26(2):207. Lomazzi M. A Global Charter for the Public’s Health-the public health system: role, functions, competencies and education requirements. European journal of public health. 2016;26(2):210-2.